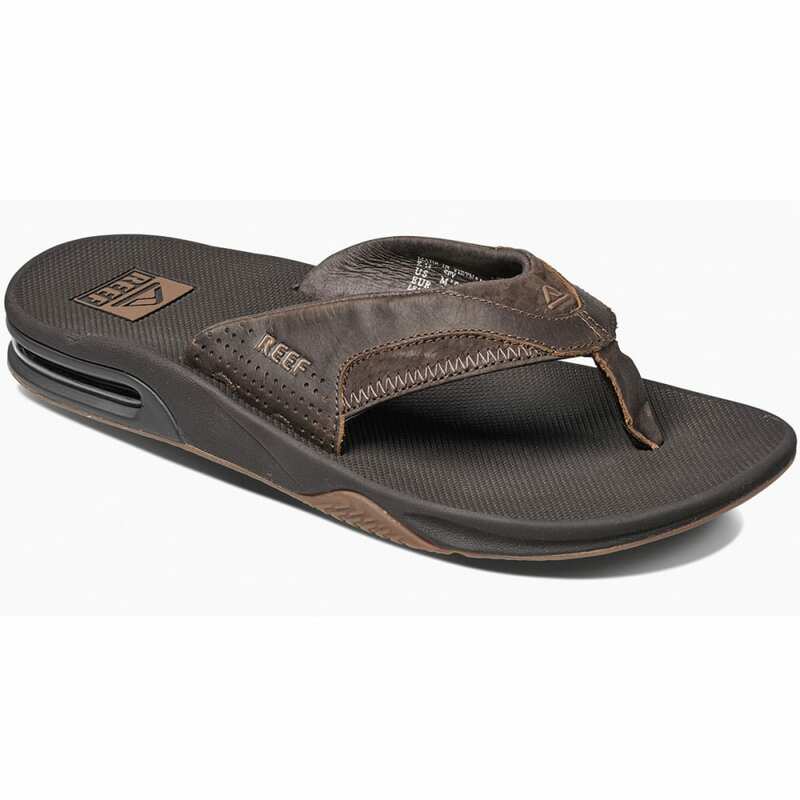 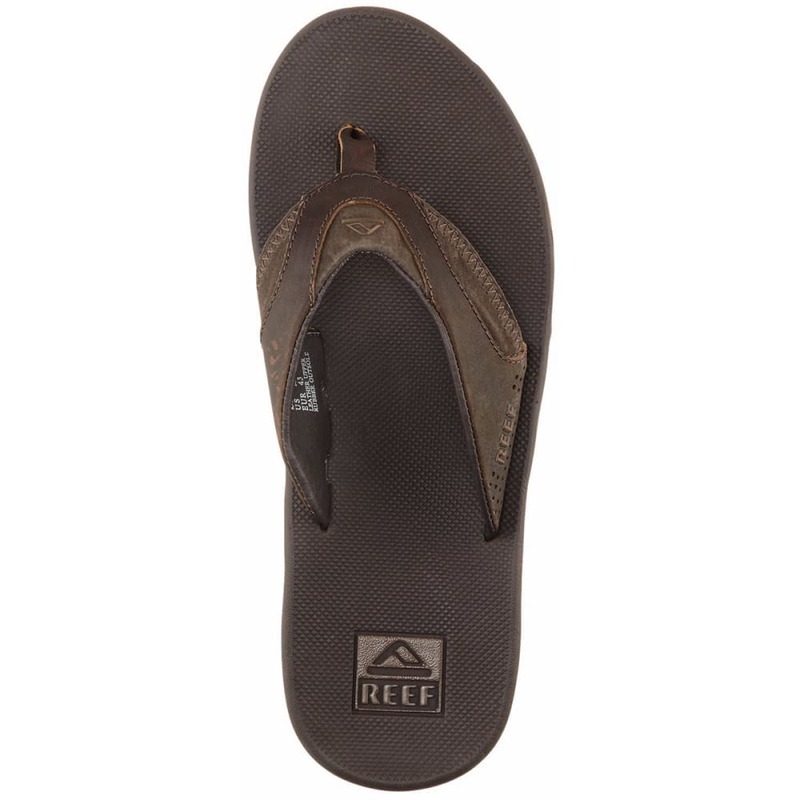 Mick Fanning's signature sandals are comfortable flip-flops made for performance with a full-grain leather upper. 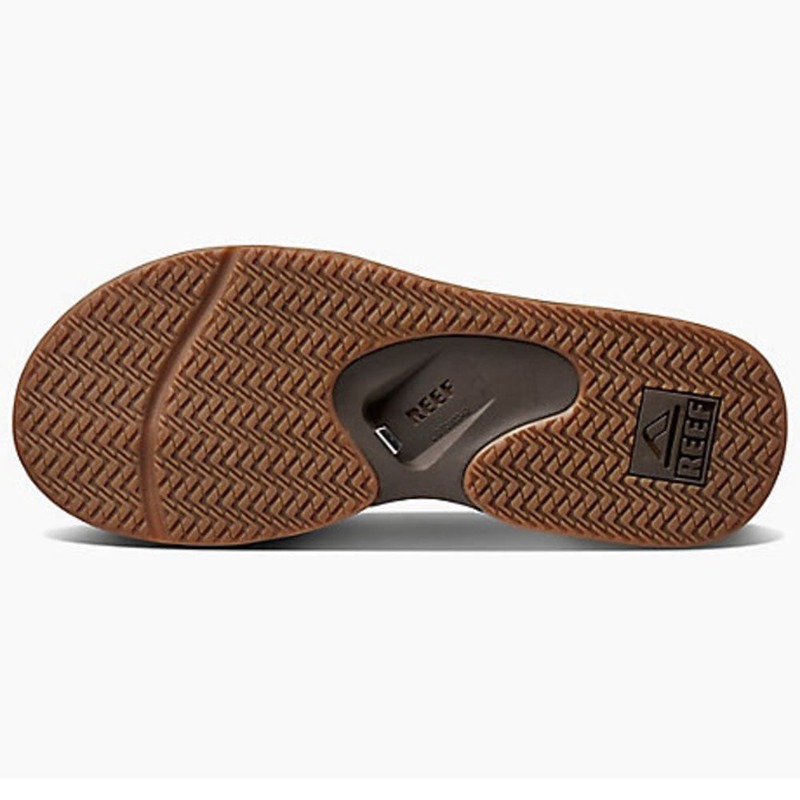 A PU-enclosed full 360-degree airbag in the heel absorbs shock. 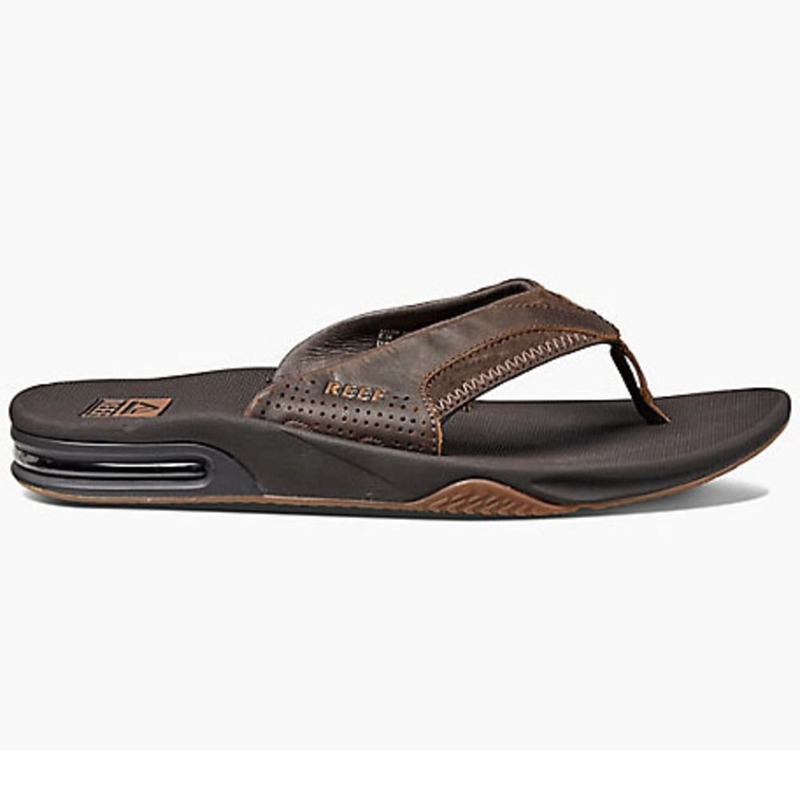 Best of all, you'll be the life of the party with the built-in bottle opener on the sole.